Eating well means shopping well! Check out these 5 easy ways to find healthier options at the grocery store. For recipes and other practical information to help you eat smart during National Nutrition Month® and year-round, join Healthy For Good at heart.org/HealthyForGood. Act to #BreakUpWithSalt during National Nutrition Month® at sodiumbreakup.heart.org. 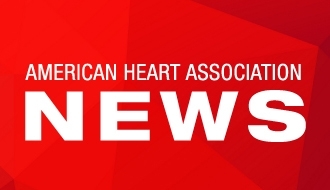 Take a minute to watch the video above that will show you what foods can fuel their potential and the American Heart Association’s recommended servings for each food group. 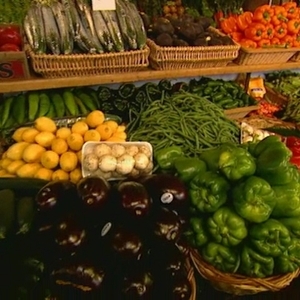 Fruits and vegetables are high in vitamins, minerals and fiber and they're low in calories. 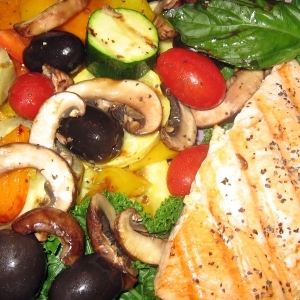 Eating a variety of fruits and vegetables may help you control your weight and blood pressure. So how can you eat more? 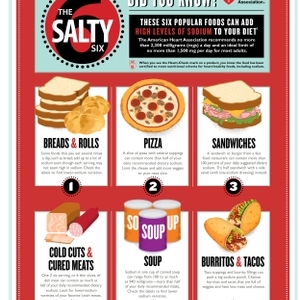 Do you know the Salty Six? These six popular foods can add high levels of sodium to your diet. Eat More Color! 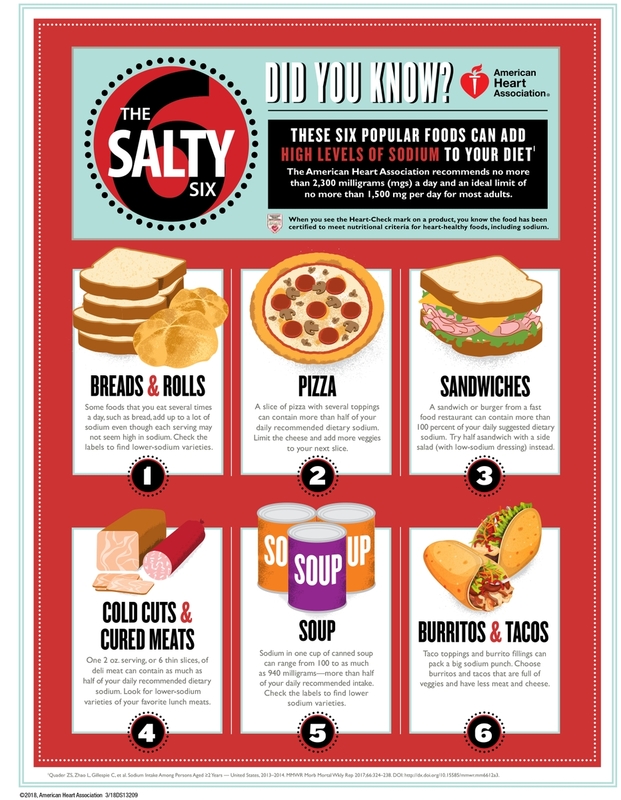 This is the American Heart Association's Salty Six Infographic highlighting six popular foods that can add high levels of sodium to your diet. They are bread and rolls, cold cuts, cured meat, pizza, poultry, soup, and sandwiches. Infographic depicting the variety of fruits and vegetables to help you Eat More Color.